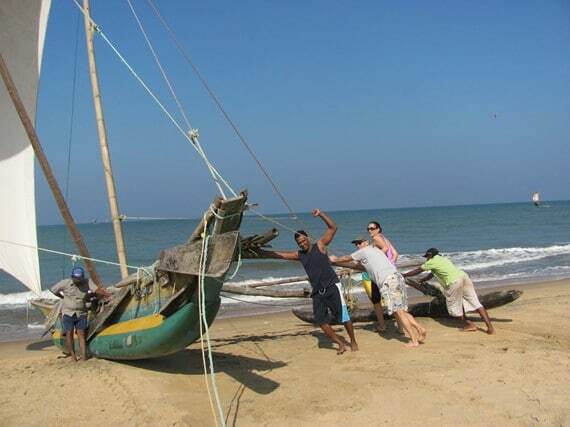 Join a group of local fishermen from Negombo and travel on a traditional fishermen Catamaran. 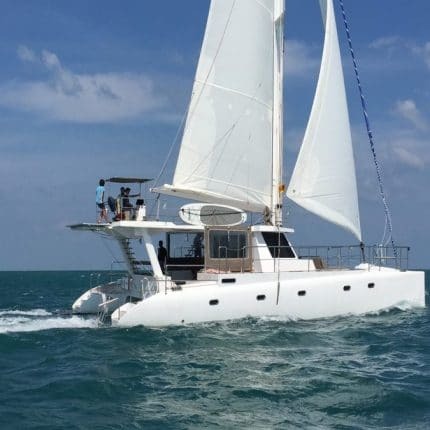 This short half day excursion will take you to enjoy a thrilling trip on a traditional catamaran with the local fishermen of Negombo. 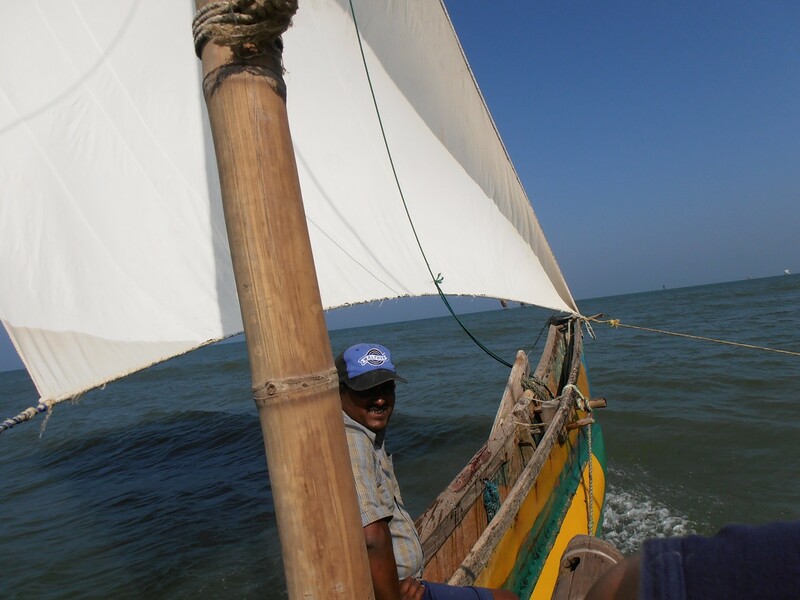 The Catamarans of Negombo are traditional boats built with local materials such as wood, ropes and bamboo. 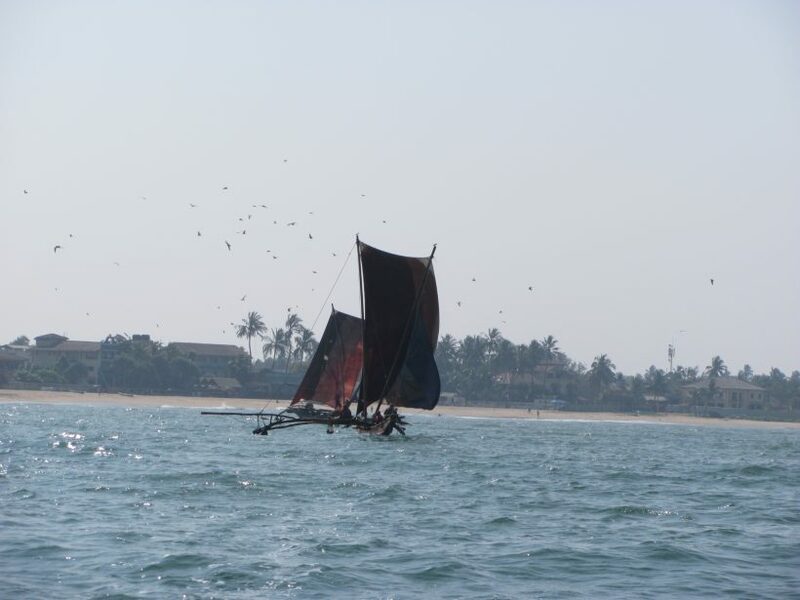 They are used every day by the fishermen of Negombo to fish early in the morning. 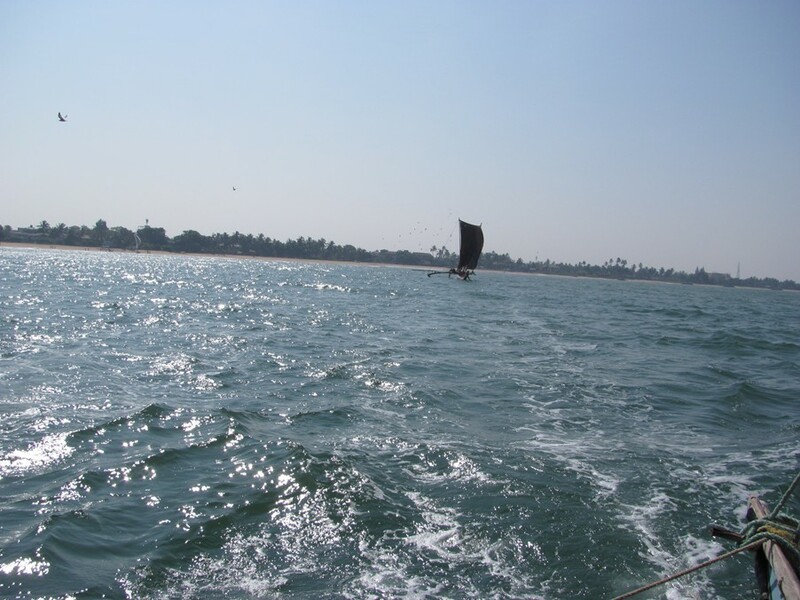 Depending on the season, you can see them fishing in the ocean or on the wide Negombo lagoon, looking for fishes and prawns. 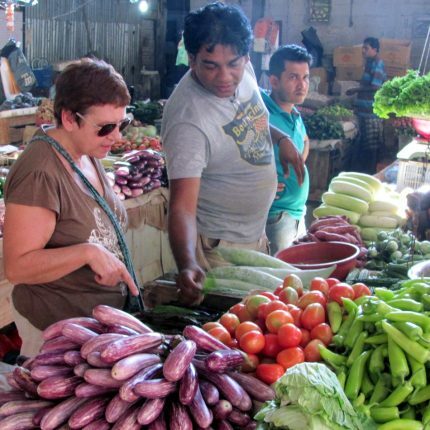 Most of the fish is then sold at the local fish market, one of the largest in the country. 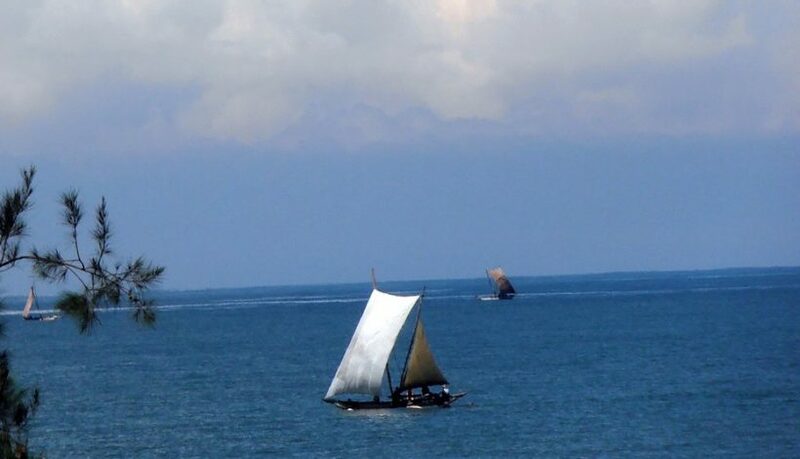 Depending on the season, you will be able to sail with them on the sea (from December to April) or on the Negombo lagoon (from June to October). 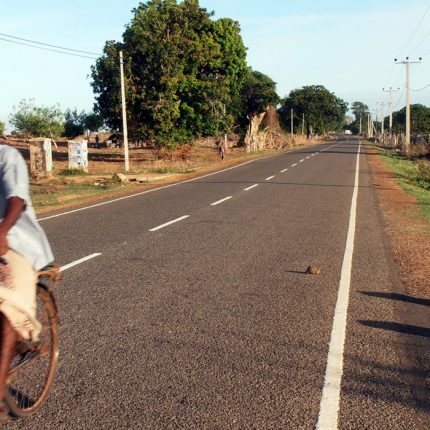 In the morning, at around 8:00 am, you will be picked up at your hotel in Negombo if you are staying there or we will arrange a meeting point for you. 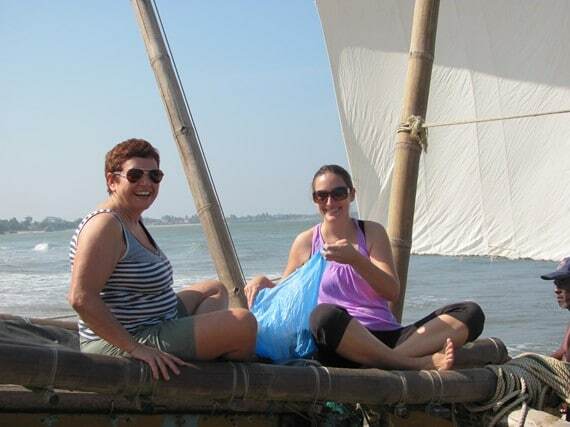 Yo will be accompanied by a local guide who will be with you for the catamaran excursion with the local fishermen. 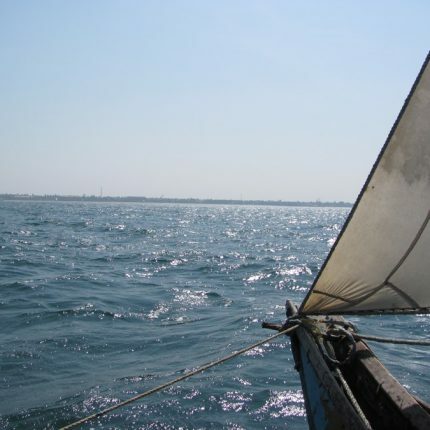 You will experience a trip on a real fishermen catamaran! 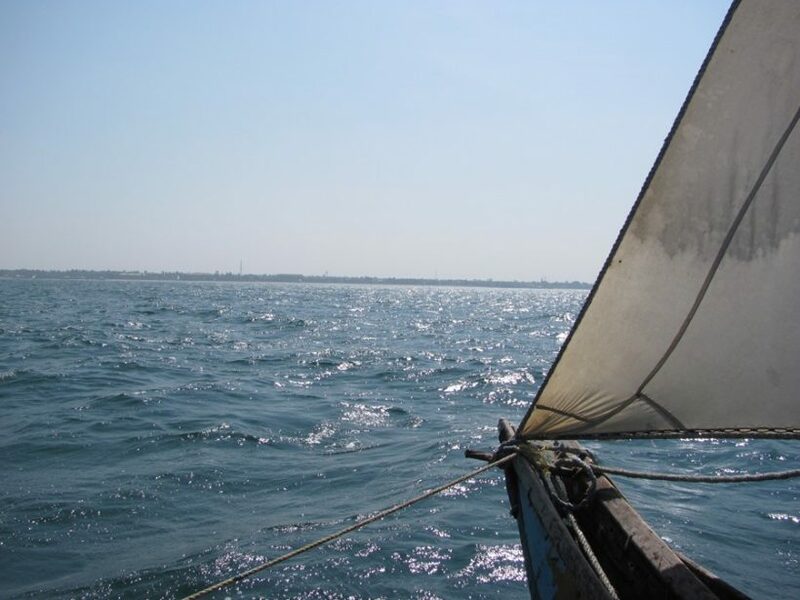 During off season (May to December) due to the higher waves especially in the afternoon, the excursion will be done in the Negombo lagoon instead of the sea. 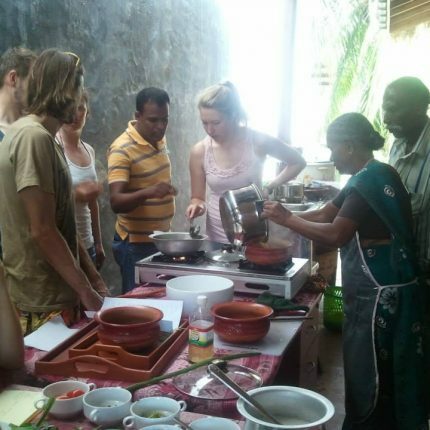 Discover the local village life and Tamil and Sinhalese cultures.